Relax. We'll create your perfect video from script to screen. Telling YOUR story...on time, on budget, on target. Creating spectacular video with a focused marketing strategy. Entertain, educate, motivate with compelling video content. Meet our experienced team members. See what Farish Media can do for you. View our gallery of high quality footage. 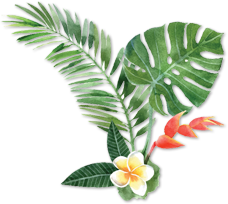 Aloha and Welcome to Farish Media! Located in Kailua-Kona, Hawaii since 1994, Farish Media creates compelling video content for a global arena including television series, corporate, commercial, websites, social media platforms and spectacular stock footage from around the world – including our Hawaiian Islands. Tackling each project from concept to completion is our specialty. With over 30 years of broadcast experience, we produce quite a bit in our home state but we’ve also mastered the art of traveling and creating turn-key productions in urban and exotic locations worldwide. Our mission is to become an instant hit with you, to provide nothing less than a powerful, superior production done right the first time and to create an experience of aloha that will retain you as our client and our friend. Farish Media is a top-notch video and HD TV production company based in beautiful Hawaii! Being based in Hawaii is part of what makes Farish Media great, as we are able to provide stock footage of some of the most beautiful natural locations in the world. Our clients never come away disappointed as the combination of natural beauty and our experienced staff’s high-end abilities leads to amazing results. Beyond that, Farish Media is able to create original footage for your product or company specifically. It is this type of adaptability and versatility that makes Farish Media unique among our peers in the industry. We are supremely confident in our ability to take on any project you might have, big, small, or in between, and deliver results that will blow you away. The abilities of Farish Media include: video, television, television production, production, commercials, nonprofit video, real estate video, sports video, promotional video, camera, high-definition, HD cameras, HD video, corporate video, stock footage, event production, editing, video editing, video crews, underwater video, aerial video, and more! It’s easy to see that no matter what your video, production, and media needs are, you don’t need to look any further than Farish Media! Please feel free to contact us today to discuss your needs, see what the costs of a project may be, and hire us to get you the unbelievable results you’re looking for. We strive to become and instant hit with our clients and provide superior production to anything else you can find. Contact us today! We look forward to hearing from you! With our expertise, state of the art equipment, and dedicated team of professionals, we are able to create content to help companies craft their message in an effective, concise, and visually attractive manner.